Nymi Band - ADL Data Systems, Inc. The Nymi Band is a wearable biometric identity device that lets you use your heart’s unique signature (Electrocardiogram or ECG) to authenticate and confirm your identity. In a world of passwords and pin numbers, the Nymi Band will allow you to wirelessly prove that you are you to the world around you. Seamlessly unlock devices, remember passwords and more, using your heart’s unique signature. Heart ID — HeartID is Nymi’s patented biometric authentication technology which is at the core of the Nymi Band. 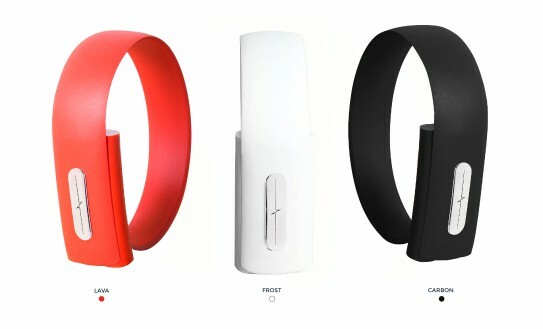 Using sensors, HeartID can confirm a user’s identity to the Nymi Band using their heart’s unique signature (ECG). Nymi Band Core — The core of the Nymi band contains an encrypted hardware element to keep communications safe, an accelerometer and gyroscope for gesture recognition and a haptic feedback motor. Status LEDs — The Nymi Band can communicate its current state, battery life and other messages using LED patterns. Continuity Band — The band portion of the Nymi Band not only keeps the Nymi Band on your wrist, it also contains a circuit that disables the Nymi Band if it is cut or removed. Materials — The Nymi Band is made of high quality hypo-allergenic (ISO 10993 compliant) materials to ensure all-day-long comfort. The Nymi Band Fact sheet may be found here. The Nymi Band Spec sheet may be found here.